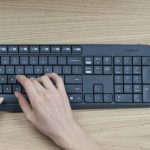 Luxury is not usually a word you associate with a computer keyboard but it definitely comes to mind when using the new Logitech Craft keyboard which offers a premium typing experience. We spend a lot of time in front of our keyboards so having a high-quality product like Craft makes working and playing a pleasure. 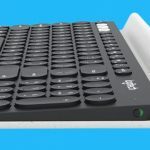 The wireless Logitech Craft keyboard has an impressive design and solid build quality which is not only a pleasure to use but also a pleasure to look at. It can be used with a Mac or PC with dual labelling on some keys so users on each system are familiar with the layout. 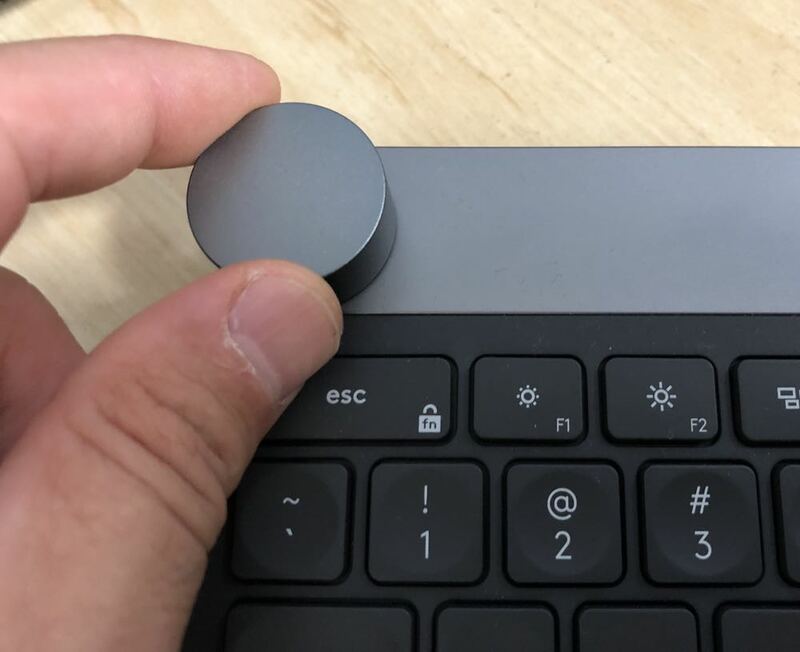 Each key on the Craft keyboard has spherical dishing which is designed for your finger to land more precisely on the key. There is even a matte coating so your fingers glide more easily along the surface. It’s also whisper quiet, fluid and responsive so you can feel every keystroke but not hear them. Also on board is smart illumination – a backlighting system that turns on the second it detects your hands hovering near the keyboard thanks to a proximity sensor. The backlit keys can automatically adjust brightness to suit the lighting conditions. But one of the handy new features of the Logitech Craft is the Crown. 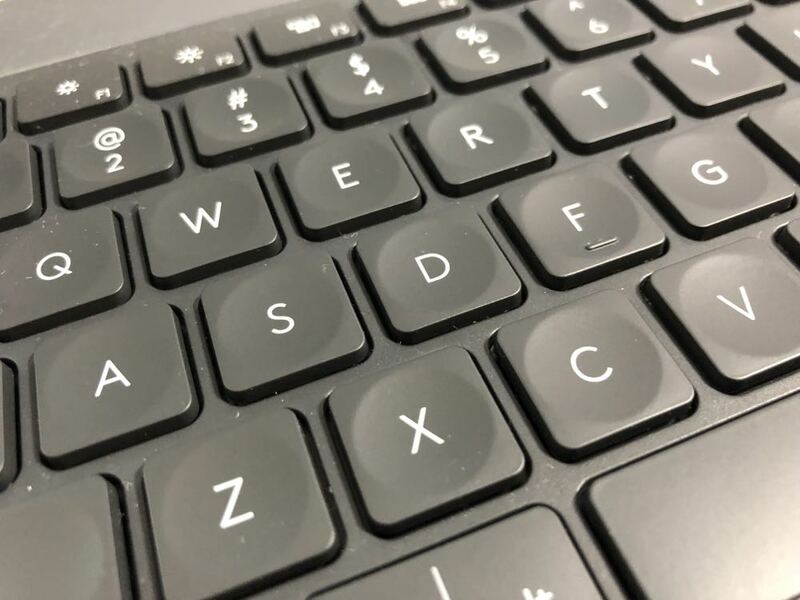 That’s the dial on the top left corner of the keyboard that can be customised to suit the task you’re working on or the application you’re using. For example, if you’re using Adobe applications, the Crown can be used to easily adapt brushes, zoom in on images, change the stroke weight and much, much more. 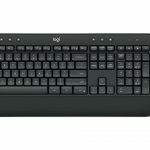 The Logitech Craft keyboard offers remarkable precision for editors and other creative users that is just not possible with other keyboards. Mac users can also switch between applications on the desktop or through tabs on their Safari browser. Windows users can also toggle through the open applications on their desktop. The Crown can also be used to adjust volume and brightness. 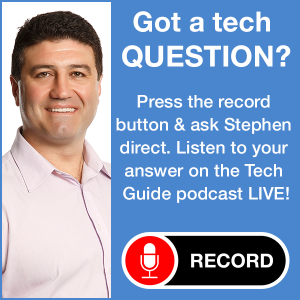 It can all be controlled through the Logitech Options software. It’s really easy to customise it to suit your needs. 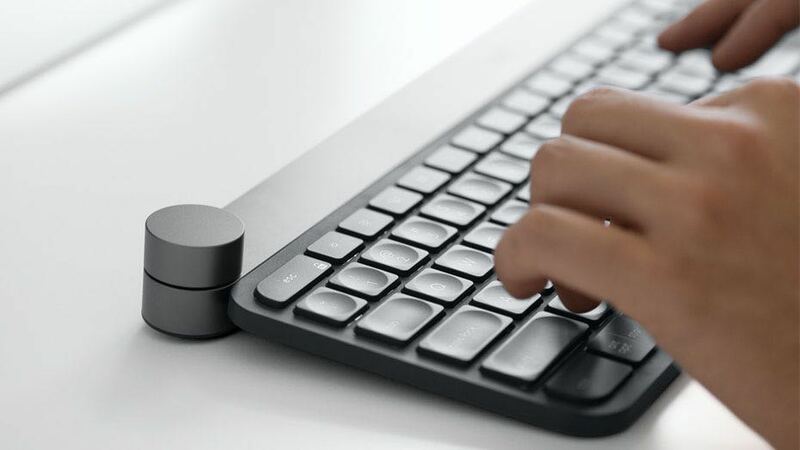 Of course, the keyboard connects wirelessly to your Mac or PC via Bluetooth and can also be used to link to mobile devices as well. There is a rechargeable battery on board that will give you about a week’s worth of use between charges. And when it is time to charge, you will see the red battery indicator illuminate and then it’s just a matter of simply connecting a USB-C cable. It would have been amazing if Logitech had packaged a mouse with the Craft keyboard with a similar design style to match. But the company already makes high quality mice so you can pair that one up yourself. 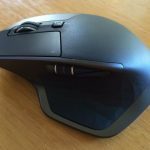 The Logitech Craft isn’t cheap – it costs $299.95 – but for that price you’re getting not only amazing quality but tremendous features as well. 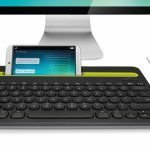 If there is a better keyboard on the market, we haven’t seen it. 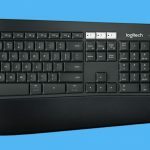 The Logitech Craft is the most luxurious keyboard money can buy and it backs up its tremendous design with some incredible features that will increase your productivity and make work a real pleasure. 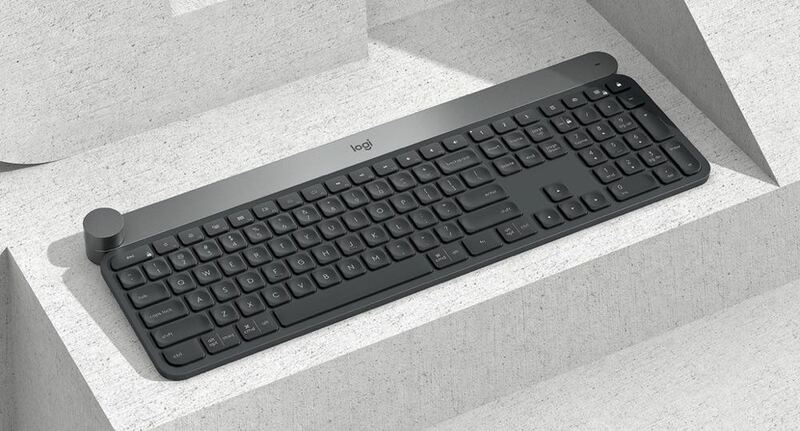 VERDICT: The Logitech Craft is the most luxurious keyboard money can buy and it backs up its tremendous design with some incredible features that will increase your productivity and make work a real pleasure.